What do I think of Kostenberger, Bock, and Chatraw’s book? Let’s talk about it on Deeper Waters. Bart Ehrman is described in this book as the rising rock star of the New Testament world. While more and more Christians are learning about him, too many are not, and sadly, the first time they often hear of him, they are unprepared for what he has to say. The tragedy is best described by the way Chatraw sums it up. Later I was a bit surprised when I had a similar discussion with a couple of well-respected pastors in my community. These conversations helped me see once again that most people, even pastors, don’t know much about what’s going on in the world of biblical scholarship. The other authors of this book have had similar discussions. In fact, just recently I was sharing some detail concerning the last 12 verses of Mark and a good Christian friend was concerned I might have caused some doubt for some. I understood that concern well and shared some information on textual criticism to help deal with it, but it’s a shame that that which is common knowledge is seen as detrimental to the faith of some simply because the pastors have shielded them from the academy. In fact, pastors are usually the worst culprits. Thankfully, the lay people do have friends in the authors of this book. These authors have done the service of taking Ehrman’s popular works seriously and addressing the main concerns that are raised in some of the most well-known ones. The reader who goes through this book and learns it well will be much more equipped to survive a class from Ehrman or someone like him. If you are familiar with the arguments, you won’t find much here that is new, but that’s okay. This is written for those who are not really familiar with Ehrman and his arguments yet. If you are familiar with them, you will find that you still have a good resource where the major arguments can be found listed together. One important insight that the book has that I agree with and have noticed myself is that Ehrman most often is quite good at giving you one side of the argument. He ignores that which is against his hypothesis. They consider his latest book “How Jesus Became God” as a for instance. In this book, Richard Bauckham is not mentioned once. He mentions Hurtado but does not interact with his main claims. He does not interact seriously with the Shema. I’d also add that in his section on miracles, brief as it may be, there is no mention whatsoever of Keener. Ehrman has been undermining the Christian faith of many for a long time and unfortunately he’s probably right that too many are just closing their ears and humming so they don’t have to hear what he has to say. This should not be the Christian answer. If you want to get the Christian answer, an excellent gateway to that destination can be found in this book. I highly recommend it. What do I think of the five views? Let’s talk about it on Deeper Waters. Historical Jesus study is one of the most controversial fields today. Despite what many atheists today think, it’s not filled with conservative evangelical Christians. Oh sure, some are in there, but any one can be a historical Jesus scholar regardless of their worldview. So what happens when you get five scholars from five different fields to come on? Everyone ends up critiquing everyone and that’s the great benefit of these counterpoint books. One gets to see multiple perspectives and how they interact. The first view is Robert Price’s. It’s hard to say that without snickering. Why? Because Robert Price is one of few on the planet in the field who actually holds to the idea that Jesus never existed. His essay naturally fails to deliver as he does not interact with sources outside of the NT hardly, such as Tacitus, and he too quickly dismisses the passages in Josephus. Meanwhile, he wants to find a parallel for everything in the Gospels somewhere in the OT, and some of them particularly amusing. For instance, the healing of the paralytic in Mark 2 who was lowered through the roof is based on King Ahaziah being afflicted by falling from his roof and then the result of him lying in bed. If you think I’m making that up, it’s on page 69. I am not. Now of course there are some Old Testament parallels, but it should not surprise us the NT would be written in the language of the OT since these were people familiar with the OT and would be making allusions to it seeing Jesus as a fulfillment. This would in fact give honor to the person of Jesus. The responses are just as hilarious, particularly James Dunn’s response. Dunn is absolutely stunned that someone like Price even exists. Interestingly, another scathing critique of Price’s essay comes from John Dominic Crossan. Crossan’s essay is in fact where we’ll go next. Crossan presents a Jesus who interacts much with the politics of his day and talks about God bringing His Kingdom. So far, so good. Yet for Crossan, Jesus had followed John the Baptist in a more apocalyptic message, but then toned it down when He saw John beheaded and decided to say the Kingdom was here in the sense that God was making His presence known. It was already here. From that point on, Jesus is a teacher of the love and grace of God. It sounds well and good, but keep in mind Crossan has also said the crucifixion of Christ is as sure a fact as any in ancient history. As I read Crossan’s essay I kept wondering “How on Earth would this Jesus be crucified?” This Jesus might be at worst an annoyance, but He would not strike anyone as a political revolutionary. He would not be teaching a message that would be radical to the people of the time. This Jesus then is not the one that I think could be the Jesus of the Gospels. He would not be someone who is stirring up controversy whatsoever. Pilate would not have considered him a threat. No one would have considered that He was in anyway thinking He was a Messiah or a King. The next essay is by Luke Timothy Johnson. Johnson has a unique approach and it’s rather difficult to figure out. He wants us to study history, but he wants us to realize that history has limits. From what I gather, Johnson is more interested in us getting to know the person of Jesus by reading the Gospels as literary works. No harm there. That should be done. My concern with this is that it gives the impression that it’s praising history from one viewpoint and going against it from another. If Johnson’s view is that studying the Gospels will not tell us everything about the historical Jesus, well who would disagree with that? At the same time, I do think Johnson deserves the rightful praise for reminding us that whatever genre the Gospels are, and I hold that they are Greco-Roman bioi, that we should definitely read them as works of literature. The next essay is James Dunn. Personally, I found this one the most helpful essay of all. Dunn presents a brief look at what he has in Jesus Remembered, a massive work of his on the historical Jesus. He invites the reader to look into the question of the oral tradition and reminds us that our society is different from theirs. He also asks us to look at why things happened. Why did Jesus have such an impact on the disciples and this even before the events of Easter? What was it about Jesus that made the difference? These are the kinds of questions that need to be asked, especially when dealing with more fundamentalist types like Bart Ehrman. Finally, we have an essay by Darrell Bock. Bock comes from the evangelical sphere so he’s also the only one to really talk about the resurrection. I found Bock’s essay interesting but in some places, lacking. Why when Pilate’s actions are mentioned is not the death of Sejanus mentioned that would highly affect Pilate’s response? Still, one will find a good presentation of a common evangelical view of Jesus in Bock’s essay. Of course, a book like this cannot cover everything, but it will give the layman a good introduction to how historical Jesus study takes place. I highly recommend it. What do I think of this work by Darrell Bock, Andreas Kostenberger, and Josh Chatraw? Let’s talk about it on Deeper Waters. The writers write to someone who has never really considered these kinds of deep questions before. There is a concern they have to make sure that the position of Ehrman is not seen as the only position there is. This is important since Ehrman usually makes it out that his position is the position of scholarship, despite their being numerous scholars who disagree. Of course, it’s easy to just write them off as “biased” or “not mainstream” even though Ehrman himself has a bias as we all do and these positions that are held by his opponents are indeed mainstream and held by a sizable number of scholars. There is also a section on dealing with the problem of evil since Ehrman makes a case in “God’s Problem” about how the problem of evil is the best evidence against the existence of God. While I do agree with that aspect, I don’t think that Ehrman makes the case. It’s also important to point out that Ehrman does indeed not give the whole story. The student who goes into the classroom of Ehrman or someone like him should be prepared to examine both sides of the evidence and too often, that just isn’t really allowed. A good teacher will present not just his views, but also the best reasons against his views and the best scholarship against those views. Of course, he is allowed to say what side he comes down on, but let’s make sure that the opposite side is presented in the best possible light. Overall, this is an excellent book to prepare, but I do wish there had been a couple of changes. First, I don’t recall anywhere in the book where apologetics was even named. I am sure this must be intentional for some reason, but I wish it had been so the student who wanted to know more could have an idea of what it is he was looking for. Also, while it’s good to help those preparing for college, nowadays, we must go younger and I hope future works are going to address that. We need to have ways of dealing with internet atheism for our youth, such as ideas that Jesus never even existed or that the story of Jesus is based on pagan myths that the early Christians copied. I understand a future work is in the works and I hope that in that one, that the writers will address objections largely held by internet atheists. Still, I would be glad to place this in the hands of someone about to go to college. I just would hope they’d realize that what I gave them is the start of their intellectual diet. It is not the conclusion of it. Bock will be on Agustin Astacio’s show to talk about blasphemy and exaltation in Judaism. Specifically, he’ll be dealing with the answer given to the high priest at Jesus’s trial in Mark 14. Other verses could be touched on as well. A link to that can be found here. This program will air from 2-3 EST. We’ll be having Dr. Bock on our show to talk about a different topic. However, before saying what that is, let me tell you a bit about Dr. Bock. 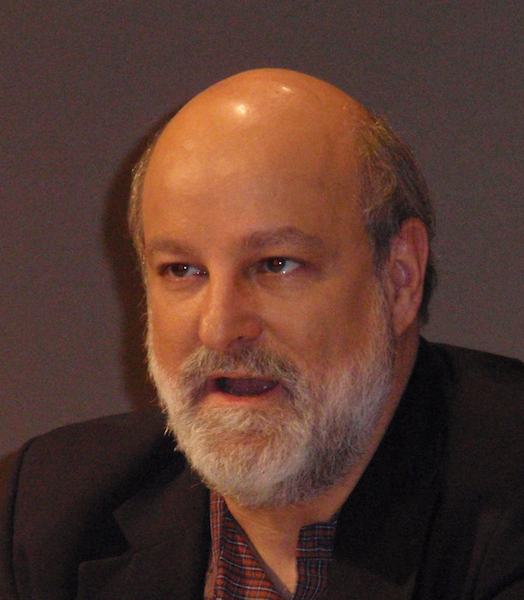 On our show, we’ll be talking about the Gospel of Luke mainly with Darrell Bock and it’s value for apologetics. When it comes to a Gospel that can be used best in apologetics endeavors with skeptics, I find the Gospel of Luke to be the best as it is full of historical claims that can be verified, as well as the prologue of Luke which we will definitely be spending some time on. Perhaps we can also discuss some of the book of Acts in relation to Luke as well and how we can be sure that Luke is indeed a reliable author. So please be listening this Saturday to our show and remember to be listening to Agustin’s show as well to hear Bock speak about blasphemy in Judaism. For us, you can listen to the show from 3-5 PM EST. The call-in number with your questions is 714-242-5180. The link can be found here.